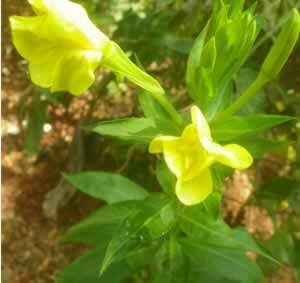 Evening primrose seeds contain a fragrant oil that plays an important part natural health. The seed oil contains gamma-linolenic acid (GLA), an omega-6 fatty acid that the body uses to manufacture a prostaglandin vital to soothing inflammation and supporting the immune system. It also helps keep the blood flowing freely, reduces high blood pressure, plays a role in reducing breast cancers1,and lowers cholesterol. 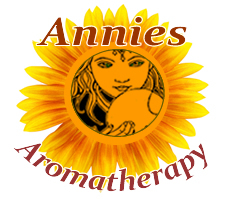 Evening primrose oil is a prized oil in aromatherapy skin care because of its many health benefits. Preparation Methods & Dosage : Evening Primrose seed oil may be taken as a supplement form or used as a salad and vegetable dressing. Also great for skin care. Do not heat. Leaves and stems from the top of the plant can be used in decoctions for both internal and external use. Evening Primrose Side Effects: Suitable for food and cosmetic use, however bloating or abdominal upset may occur from the excessive use of Evening Primrose Seed Oil internally. Flowers/Fruit/Seeds:Deeply scented evening blooming flowers, followed by downy pods containing seeds. Flowers are 1 to 2 in. across, borne in terminal leafy-bracted spikes. Calyx: tube slender, elongated, gradually enlarged at throat, the 4-pointed lobes bent backward; corolla of 4 spreading petals; 8 stamens; 1 pistil; the stigma 4-cleft. Like a ball-room beauty, the Evening Primrose has a jaded, bedraggled appearance by day when we meet it by the dusty roadside, its erect buds, fading flowers from last night's revelry, wilted ones of previous dissipations, and hairy oblong capsules, all crowded together among the willow-like leaves at the top of the rank-growing plant. But at sunset a bud begins to expand its delicate petals slowly, timidly, not suddenly and with a pop, as the evening primrose of the garden does. Now, its fragrance, that has been only faintly perceptible during the day, becomes increasingly powerful. Why these blandishments at such an hour? Because at dusk, when sphinx moths, large and small, begin to fly, the primrose's special benefactors are abroad. If a flower has not been pollinated during the night it remains open a while in the morning. Bumblebees now hurry in, and an occasional humming bird takes a sip of nectar. Toward the end of summer, when so much seed has been set that the flower can afford to be generous, it distinctly changes its habit and keeps open house all day. Does well in poor soil, hardy and drought tolerant once established. Full sun to part shade, tall plants, use in wild flower plantings or back of the garden. Self seeds freely. Dr Javier Menendez . "Plant oil acts like cancer drug". (2005-11-02) BBC News. Scientists have pinpointed how evening primrose oil fights breast tumours. A substance in the oil called gamma-linolenic acid (GLA) that acts on the same receptor in tumours as the powerful breast cancer drug Herceptin. Unlike Herceptin, which blocks the Her-2/neu receptor, GLA interferes with the gene carrying the DNA code needed to make the receptor work.